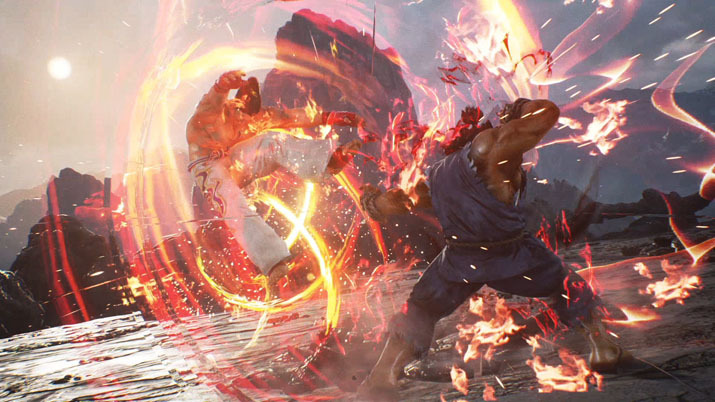 TEKKEN 7: If you’ve stayed away from the genre before, now is the time to come. I am a notorious skipper of cinematics and storyline. I have no interest in watching some misrepresentation of actual gameplay, nor do I have time to listen to characters yap incessantly about some lore that won’t actually help me. I simply want to jump, climb, and garrote my way to end-game content. If there’s a skip button, it’s clearly a sign that I don’t need to watch. That was before TEKKEN 7. For me, the name TEKKEN arouses memories of selling baseball cards for a few quarters to friends and riding my bike to the local 7-11 to button-mash my way to glory. In hindsight, fourteen-year-old me never bothered to learn any combinations or defenses. I simply pointed the joystick towards my enemy and thought the key to winning was smashing buttons harder and faster than my opponent. I suppose that was my approach to almost all fighting video games for the longest time. When the opportunity to check out TEKKEN 7 arose, I dusted off my trusty gamepad and honestly expected my experience to be the same. Luckily for my controller, I was wrong. From the beginning of the boot sequence, I felt a foreign excitement. Most titles in my library, even ‘action-packed’ shooters, didn’t generate nearly as profound a gut reaction as I was experiencing, which caught me off guard. Obviously, this was a well-produced release from a big shop, but still, the craftsmanship and polish had my full attention. Perhaps it was because I had fallen into a pattern of playing familiar genres, but it just felt so fresh. What felt the most strange is that I was immediately drawn to the story mode, as opposed to diving right into multiplayer or arcade. Frankly, I was unaware that such a thing existed. I was preparing to punch a variety of characters in the face, but during the monumental sixty-gig download I started to wonder, what else could there possibly be to this release? The sleuth in me needed to see more, and that had to be in the story. It was the best decision I could have made. Within moments, I became engrossed in a living graphic novel. I had become a participant in the coolest Japanese comic book ever. The story is compelling and well written, and the best part is that it seamlessly integrates with gameplay. So many times, these side bars or cinematics just don’t have smooth transitions. Yet, TEKKEN 7 seems to have perfected this difficult task elegantly. As the heat dissipated from my untouched dinner, I didn’t seem to care. I was hooked, and I could always eat tomorrow. The skills that I’m learning now are not only improving my gameplay in TEKKEN 7 substantially, but may also improve my marriage. A properly designed, intelligent game would use this compelling story to not only reign in newcomers to the series, but to also train you in the art of playing this genre. TEKKEN 7 leverages just that, providing a slow skill progression that had this lifelong button masher actually paying attention to the difference between A and B, and actively planning what fingers to use when, and where. The skills that I’m learning now are not only improving my gameplay in TEKKEN 7 substantially, but may also improve my marriage. After all, the best releases out there make us better gamers, regardless of what we’re playing. I was equally pleased there was so much more to please my seemingly insatiable appetite. An endless catalog of character customizations, nameplates, and other unlockables blew my mind. After all, I expected only to fight, lose, and look for another quarter, but I could get lost in all the extras for seemingly hours. Then, I finally jumped into multiplayer, and lose I did. It would seem that many others had either more nimble fingers, or had a history with this style of 1v1. They didn’t care that I was green: they were brutal. I lost a lot, but I enjoyed it. That’s no easy feat and left me very impressed. All in all, I will not only be revisiting this again and again to further my progression, but arcade mode on the big screen may become a staple at game nights. In the end, I am so in awe of how well thought-out and well produced TEKKEN 7 is. Though I’ve avoided fighters in the past because I thought they might be too simplistic, too ‘quarter arcade,’ I am wholeheartedly pleased that I dove back in head-first. 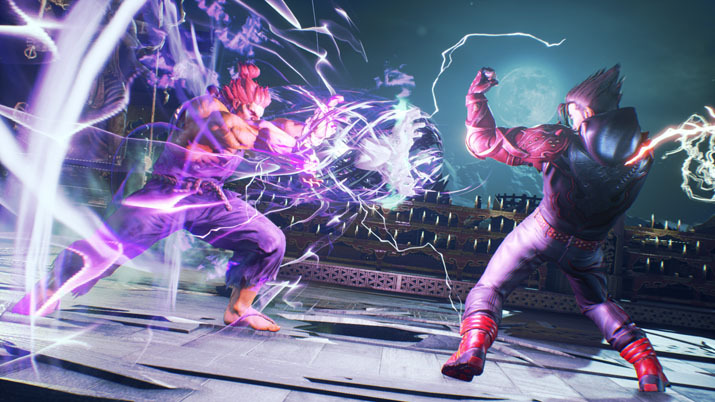 TEKKEN 7 is the gold standard that will be difficult to unseat for quite a while. That, and I now have an incredible urge to learn Japanese.